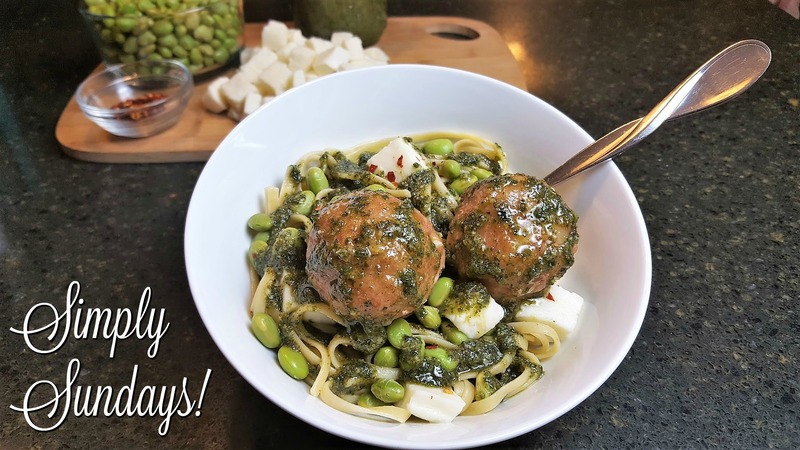 Turkey & Bacon Meatballs with Pesto – Simply Sundays! I’ve never thought of serving meatballs with pesto before but these sound delicious – It’s definitely something on my list of things to make! Those meatballs sound fantastic… Such a simple tasty dinner! What a delicious pasta recipe! I’ve never made turkey meatballs but I really think I should try them. They look really good! That is such a great idea to mix the bacon chunks in with the turkey! I can’t wait to give this a try! Thanks Beth! Hope you like it! This just got added to my holiday table!